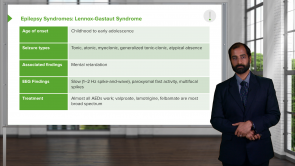 Seizures – Online Medical Course | Start now with Lecturio! Seize this opportunity to learn all there is to know about Seizures! Your instructor is Dr. Carlo Raj, an award winning lecturer with many years of experience educating students from around the world. This course provides a thorough review of the different types of seizure, how they are evaluated, and their effects on the body and the brain. Prepare for your next exam with the experts at Lecturio. We will provide high quality instruction and high-yield downloadable content. We also offer quiz questions to test your knowledge. Learn with Lecturio and you won't be disappointed. Seizures are the result of abnormal excessive neuronal discharge from the cerebral cortex that can lead to motor, sensory and autonomic manifestations. 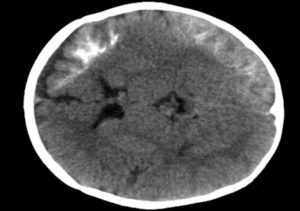 Seizures in children differ from adults in the etiology, presentation, treatment and prognosis. The children have less brain threshold for seizure activity so they are more vulnerable to seizure episodes than adults. At least 1% of children will experience afebrile pattern of seizure before the age of 14. 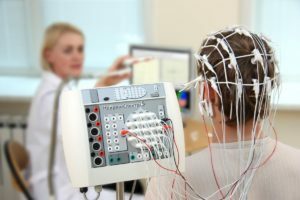 EEG diagnosis is also different than adult seizures. Fortunately, childhood seizures can disappear with age without residual effects. Seizures are the result of abnormal electrical activity in the brain, which can be either stimulatory or inhibitory. The abnormal activity consists of repeated consistent discharges that can lead to motor, sensory, autonomic or behavioral dysfunction. Epileptic seizures can develop from the synchronous and paroxysmal activation of a group of neurons. 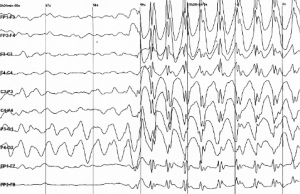 There is high prevalence of a heterogeneous variety of epileptic syndromes in the population. A great number of people suffer from an epileptic seizure at least once in their lives, are worried, go to the emergency room, and seek for medical advice. It is therefore important for every physician to be familiar with the disorder and to know about treatment opportunities. This is a very good lecture for everyone, not just people studying medicine. Very good course!!! Sometimes the accent is a little difficult to understand, but I really liked it.. This taught me... I was wondering one day while I was reading a Medical book, hmm what are seizures? Then I was looking all over the web found this website and went to Carlo Raj, MD for seizures this is just the beginning for me and I hope I like the rest of his videos. Horrible Lecturer. Teaching Cant be this way, unfortunately! I hope someone else takes over. I really enjoyed the overall topic. Good balance of detail. What I suggest for future revisions is to expand the criteria for when you would prescribe AED for example aside from 2 eps pts with focal abnormalities or underlying conditions that cannot be remedied or patients with abnormal EEGs may be started on these agents. Furthermore, impact on driving and occupation could have also been included. Finally, I would love to see a separate section focused secondary cause of seizures.